XPS is designed to deliver the best computing experience on the planet whether you are a frequent business traveler, photographer, designer, virtual reality (VR) developer or college student. We know that you don’t want to compromise performance for portability (I know that I certainly don’t), and that you care about the detail that goes into your product’s design and craftmanship. You want the best of the best. 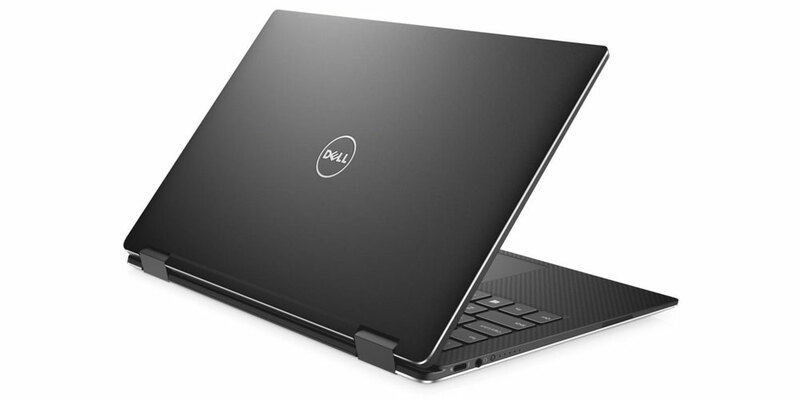 We are listening to your needs and we continue to update the XPS line with new technologies, features and configurations, to make the best Windows PC line, Dell XPS, even better. Our continuous innovation has led to more than 400 XPS awards, the most award-winning product-line in Dell history, including “Best Notebook” for the XPS 13 by European Hardware Awards 2017 and a Computex d&i award 2017 for the XPS 13 2-in-1 last week. I’m excited to share with you some recent updates we have made to our XPS portfolio that keep with the tradition of delivering premium performance and design. I mentioned earlier that many people, including myself, do not want to deal with the challenge of compromising performance for portability. While constantly being on the road I need the ability to work from a plane, office, hotel or wherever I may be. The XPS 13 2-in-1 was designed to be the most versatile device on the market with all the benefits of a traditional notebook along with the flexibility to serve as your tablet in one beautiful device. The XPS 13 2-in-1 features many of the same great features of the XPS 13 notebook, including an InfinityEdge display that is touch enabled and long battery life. It’s thin, light, robust and incredibly mobile with true tablet functionality. Using its smooth 360 degree hinge design enables it to be setup in one of its four flexible positions so you can work from anywhere comfortably. The XPS 13 2-in-1 is currently offered in a silver machined aluminum color and today we are announcing it will be available in black to give our customers more options. You can order it on Dell.com in the US or Japan or purchase it at select Best Buy stores in the US starting June 11. The new color option isn’t the only update to the XPS 13 2-in-1. As of April 30th, every XPS 13 2-in-1 ships with ocean plastics packaging. In 2017 alone, Dell will prevent 16,000 pounds of plastic from entering the ocean by using recycled plastics collected from waterways and beaches in the XPS 13 2-in-1 packaging tray and we plan to scale it to the rest of our XPS line and all Dell products soon. I live in Miami and spend a lot of team at the beach with my family so it makes me very proud of this work – especially knowing that Dell is the first in the industry to ship recycled ocean plastics packaging and has created a working group to address the issue at scale. To learn more visit dell.com/oceanplastics. At CES this year, we launched the award-winning XPS 27 All-In-One. This system has stand out features including a vivid UltraSharp 4K Ultra HD touch display with the best the audio available in an all-in-one to provide an absolutely captivating experience. 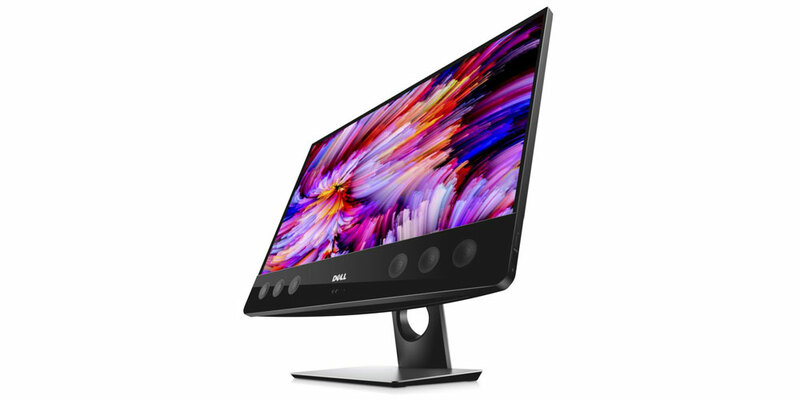 With its 10 speakers at up to 50W per channel, the Dell XPS 27 AIO blows away the competition and we’ve just upped the performance with the latest 7th generation Intel processors and AMD RX570 graphics card to make it “Ready for VR”, a truly uncompromised desktop. This product adds to Dell’s industry leading end-to-end VR solutions including the XPS Tower Special Edition. Last summer, we updated the XPS Towers with new design, power and expandability and we are continuing to add new technology to keep it top of the line, as you would expect from this lineup. Earlier this year we added Intel 7th gen processors and now we’re adding Intel Optane memory, a smart, adaptable system accelerator that makes your computer more responsive by memorizing your frequently used commands and programs for a faster, smoother, and easier user experience. Intel Optane memory accelerates opening and storing photos, videos, apps and games, reducing the time you spend waiting for your PC to respond to you. A hard drive plus 16GB of Intel Optane Memory performs up to 14 times faster than just a hard disk drive alone. The XPS Tower will offer Intel Optane starting June 22.